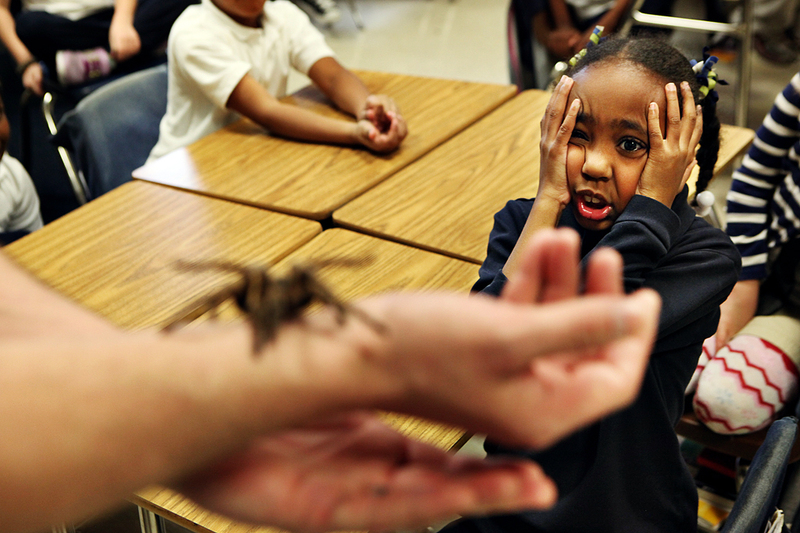 Last week, I covered Terminix employees talking to second graders at Idlewild Elementary about the differences between spiders and insects. 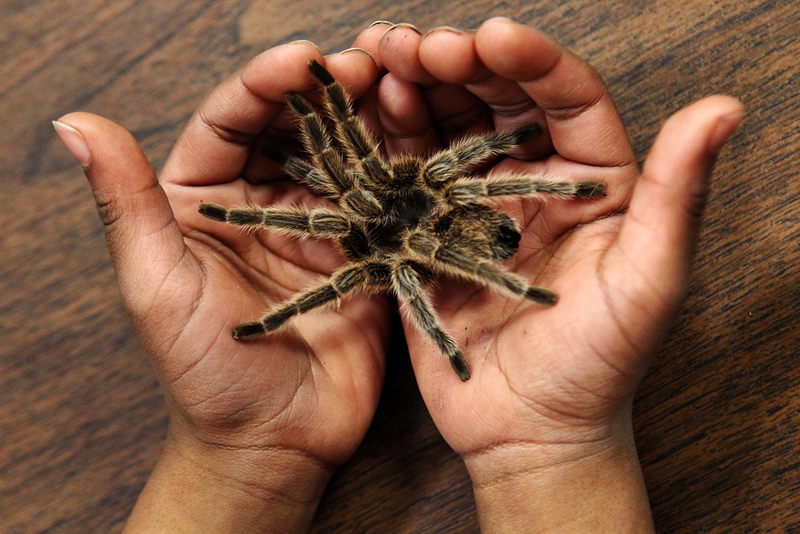 They brought two arachnids as living examples, a tarantula named Legs and an emperor scorpion named Scorpi. 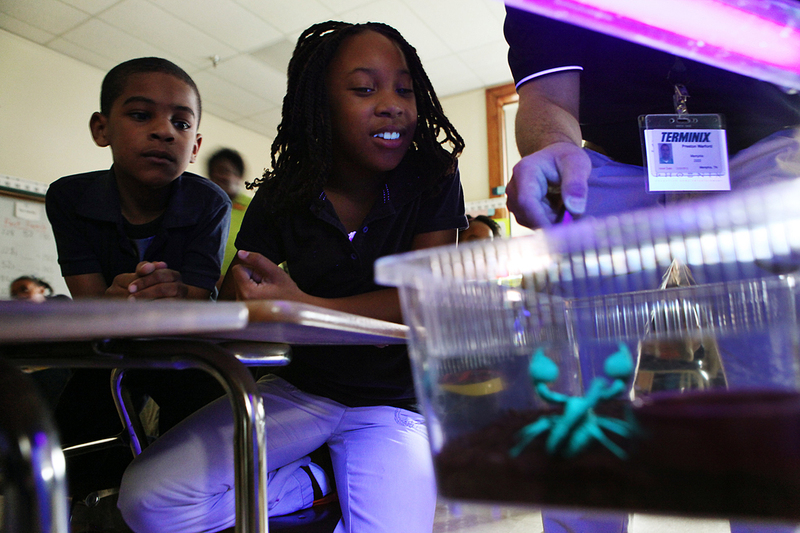 Some of the students, including Sydney Berry (above), were horrified to be so close to these creatures while others like Nathanial Ivy (below, hands) were eager for a turn holding Legs. I found Scorpi to be a more interesting specimen. 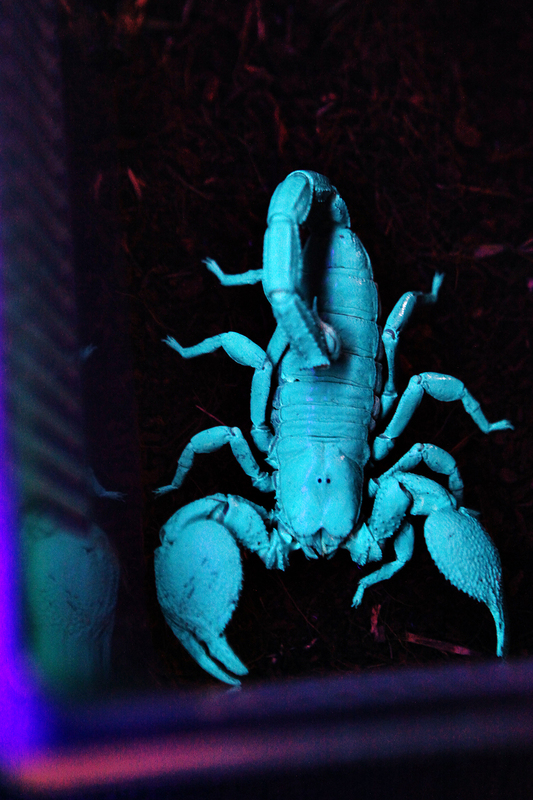 When emperor scorpions are exposed to ultraviolet light they turn from dark blues and blacks to vibrant, indiglo green.